I didn't even look that hard at the Kickstarter description before I backed it. 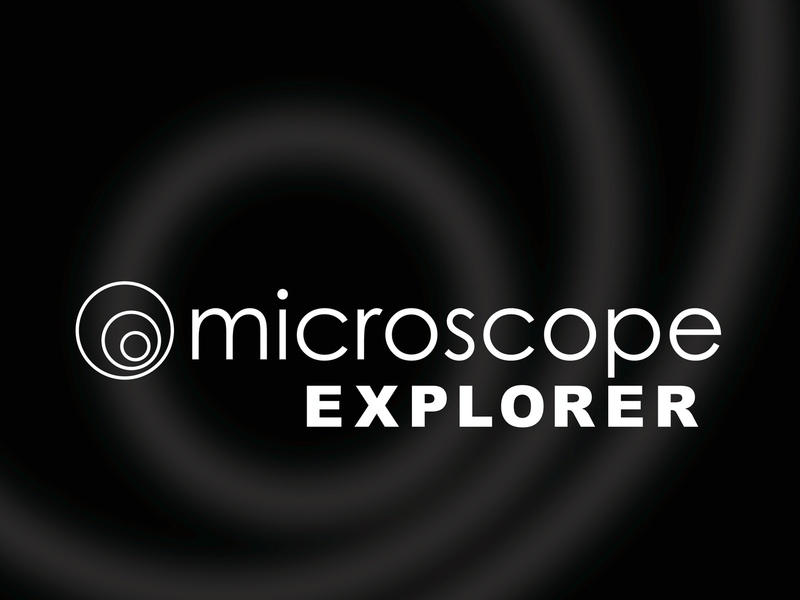 I've gotten more solid and productive use out of Microscope than any other product I've bought in the last decade. It's enriched and enlivened about a dozen campaigns. I wasn't sure about Ben Robbins' other game Kingdom at first, but I've come to love. It's in my top five of rpgs of all time. It hits a sweet spot for me and makes me insanely excited for the new game. Tying back to my previous answer, I have to go with Kingdom. Fate Core comes a close second, because of the great material and the use I've gotten out of that. But Kngdom's a niche game that handles many things I like best at the table: community as centerpoint, building & sustaining, character-centered play, meta-mechanics that don't get in the way (for me). I like the way Kingdom structures settings. Like DramaSystem I think it offers a solid and tight way to approach those pitches. I've used that frame for selling other games. Kingdom can also work as a tool within other games. I used it to explore the issues facing a community from an existing campaign. That offered a great side-bar and a way to deepen players understanding of that place. Kingdom is a game that rewards repeated play. It took a couple of sessions before it clicked for me. I still mishandle some of mechanics but never enough to create problems. I think its an overlooked gem of modern roleplaying. At Origins I got a brief taste of Phil Lewis' Wrath of the Autarch. It's a fixed-length competitive campaign with the players building up their shared domain against eventual assault by an overlord. It uses the Deck of Fate for resolution. So it rings several bells for for me: community management, grand scale, Fate, card-driven. I have Suikoden in mind when I think about this. Phil was incredibly generous and gave me a copy to pore over. There's a lot I want to steal from this. I'm doing a seasonal family L5R campaign, and I wish I'd thought of the "tech tree" approach he takes for building things up. His system for resources is smart and easy. I also really like the way WotA structures episodes and incidents. It brings in the resolution mechanics as a means of setting goals and difficulties. The character creation's both simplified and more involved: reduced skills but adding twists to relationship aspects. I keep finding new ideas here that make me want to strip down my campaign somehow. It is a niche game. There's an interesting design decision in making it both competitive and limited span. That allows the game to have closed tech trees and enforces hard decisions. Since I'm running open ended campaigns I have to that about how these concepts can be adapted without losing their potency. I've seen a couple of other games with hard end points connected to preparation: Fable 2 and The Quiet Year come to mind. I should also mention there's a cleverly designed and well-developed setting to the game. Overall I don't know exactly what I'm going to do with it, but it has me thinking hard and re-reading it when something new occurs to me. I work through a ton of games when I prepare my RPG Genre Historylists. Each installment reveals something I'd never heard of or shows me I'd imagined a game completely wrong: Hot War, Bliss Stage, Monte Cook's World of Darkness. I've found some gems and some truly weird games. But for this I'll pick from games I've bought for my own play and/or have gotten to the table. In which case I have to go with Ghost Lines. I didn't know much about it, except that Dr. Tom had run an online session of it. Rich Rogers pulled it out of his bag late on Friday evening. He handed us character sheets and went through the spiel. While he ended up with six players- probably a little much for the game- but that didn’t matter. This game hooked me on many levels and I wasn’t expecting it at all. As soon as Rich started explaining the setting, I wanted to know more. I loved the small and evocative details. Lightning devices to keep back the ghosts? A semi-industrial society having to contend with spirits and otherworldly fallout? Trains running and connecting these cities defended by Lightning shields? What the what? I wanted to dig in and explore this place, had to know what each weird piece of equipment on our sheets said about the world. Simultaneously sketchy and evocative, Ghost Lines immediately gave me room to wonder and imagine. But it also gave me something solid and concrete: the players have a job to do. They’re workers. Probably poorly paid. They work off of incentives and bounties to protect these trains, but I imagine it’s tiring, boring, and filled with small irritations and mistakes. They have to lug heavy equipment around. They have to deal with other staff and passengers who may never see and spirit and hence assume they’re lollygagging. They don’t pick their fellows or routes and so get on each other’s nerves. My character had boots from his predecessor, boots that didn’t quite fit. Huge and clunking boots for a fearful kid who’d just gotten this horrible job. A kid who could kill all of his comrades if he fucked up. And all of that in four pages. I realized afterwards we hadn’t even gotten to engage with several interesting sub-systems in our short play. I read through the rules a couple of times that weekend and then several more when I got home. It made me finally sit down and go through the amazing Blades in the Dark since it shares the setting. And though I dig the BitD city material, I want to know more about how the larger world functions. And I can imagine that because these rules give me a foundation and don’t hold me back. They’re a model of economy and made me go back to examine a couple of my 24 Hour RPG Designs to see the bloat even those little things have. It’s awesome and I didn’t expect that. 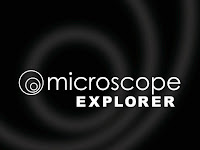 I guess technically that's Microscope: Explorer since that Kickstarter closed last night. But that's still a vaporous future purchase. So perhaps it's Vow of Honor, a game Richard Rogers mentioned the other night. And because I'm weak and had some RPGNow credit, I bought the softcover. Why? Impulse rpg purchasing (which has never steered me wrong...). VoH looks cool and I dig the idea of Codes of Honor affecting play. But that copy's in the mail so I don't have it in my grubby hands. I would have talked about the two things I bought at Gen Con last week: Jason Morningstar's Juggernaut and Ben Woerner's Sound of Water, the World of Dew Companion. BUT when I got home I found two packages on my porch. So technically, they're simultaneous. But I opened one first: No Soul Left Behind, a campaign module for Better Angels. I literally have no idea why I backed this. Which leaves me with the real most recent, the Fate Codex Anthology Volume 1. This gathers all of the articles from the first year into a nice hard copy. The articles themselves come from Mark Diaz Truman's Fate Codex Patreon. I've been happy backing that and I dig the new ideas it offers each month. Hooks, genre tweaks, skill building, ideas for stunts, handling particular circumstances. As a backer, I got a decent discount on the printed version. I'm glad I did it, as I'm still not fully electronically adapted. (What's the term for that? Is there a word for a certain hesitation at reading things on tablets vs. dead tree?). I'm about halfway through and loving it, even though I've read much of this before. I really, really dig toolkit books for game systems, with new ideas on how to implement concepts. Ryan Macklin's stuff is especially great and under the hood. So is Marissa Kelly's suggestions for Fate one-shots. I can think of a couple of other systems I'd like to see similar miscellaneous collections for (Gumshoe, PbtA). Overall a purchase I'm happy with. My niece is living with us for the near future and she seems a little appalled at the amount of gaming Sherri and I do. That means I’m doing adulting right. Last night I got to play my second session of Worlds in Peril. I dig superhero games. That’s why I have a generic and meager G+ community dedicated to them. That’s why it took me much longer to complete my history of Superhero RPGs. That’s why Brian Cooksey came up with a PLOT drinking game that has everyone taking a shot when I mention supers. I also wrote a Superman comic once. 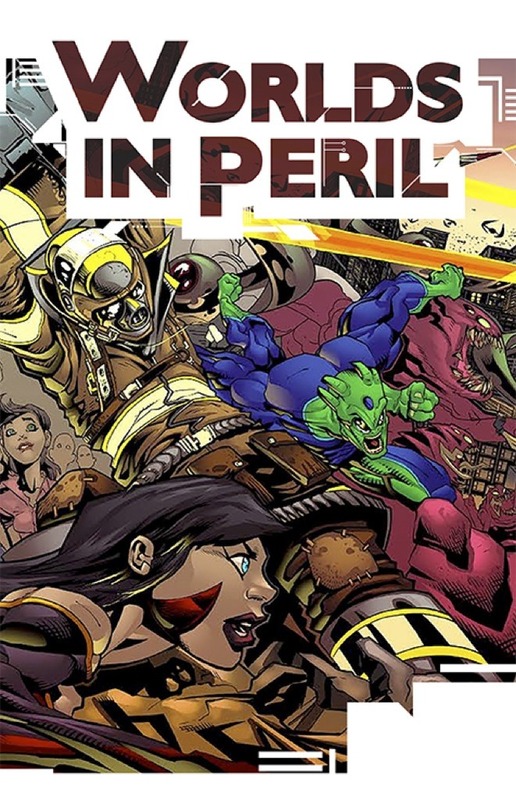 Anyway, Worlds in Peril is a superhero game built on a Powered by the Apocalypse engine. I backed the Kickstarter, even though I wasn’t completely sold on the draft version I’d seen. Again, I like Supers. 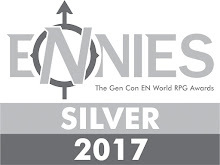 In the time between backing it and receiving my lovely hard copy, I’ve had the chance to play a few more PbtA hybrids and talk to smart people about the game. You’ve got many flavors of adaptations- one’s which stick pretty closely to AW, Monsterhearts-tinged dramas, more “simulationist” (I use the term loosely) Dungeon World visions, and other things much further out. Worlds in Peril is weird. I mean that in a good way. I’ve read through the book and I’ve played two sessions with the awesome David Semmes. He’s done a good deal of Fate so I think we’re on the same wavelength. So the first thing you’ll notice is that Powers are massively abstractly. In some ways, there aren’t any rules for powers: at least not in the conventional rpg sense. There’s no list of powers (Elongation, Density Increase) or even effects (Strike or Immunity). And that’s a potent and radical shift for supers games. I’ve gone through most of them (see my lists above) and I can think of only a handful that even come close to handling things like that (ironically, the first supers game Superhero 2044 jumps to mind). As someone who came up running the crunchy systems for supers (Champions, V&V, GURPS, DC Heroes, Mutants & Masterminds) I’m still trying to wrap my head around it. Powers exist as fictional elements in the game. That is, when you go to do a Move, you show how the power you’re using explains, shapes, or colors what you’re doing. And you’re not selling a tale to get a modifier, you’re just showing how you are carrying out your Serve & Protect, Seize Control, or Take Down attempt. You define your powers at the start and outline what you can do easily and what involves pushing or difficulty. In last night’s session I finally grok’d how those elements come into play. Characters can try to do new or edge case versions of their powers, but it requires a test and can have consequences. There’s a bunch more to it, and I keep cycling back between “Uh, OK…” and “That’s pretty brilliant.” WiP follows the Dungeon World paradigm of simulating the classic play of the genre, but heavily abstracted. It has social mechanics, but it isn’t invested in those. I know there are a couple of superhero PbtA hacks that begin on the social side of things and the superhero fighting/patrolling stuff comes in second to that. The weakest part of the game for me right now are the way it handles Playbook elements (Origin and Purpose). I suspect that’s because I tuned mine pretty heavily to my story and it requires some twisting to get it to fit. My impression of that may change as I get to interact with it more. I dug the session overall. I got to play with two new players and a completely different team line up than mine first session. I like my character Crux, he’s a support superhero. I like figuring out the team dynamics, especially when my guy’s only really expert is with Word Processing (50 wpm!). David Semmes is juggling like a dozen players across two or three parallel threads in this game. It’s ambitious and I love it. Playing it makes me want to try running it- to see how the various tools work and what’s involved in planning for it. Bottom Line: Playing Worlds in Peril makes me want to play more Worlds in Peril. Other Most Recently Played Games (working backwards): Hope Inhumanity, Itras By, Into the Odd, The Warren, The Clay that Woke, The Quiet Year, Rolemaster, Action Cards: L5R, 13th Age. I’m tempted to repeat my answer for #4 and say Ghost Rails. 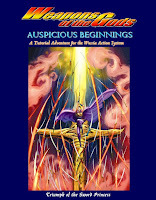 But I have to go with another one, a free product I’ve gotten more use out of than any other: Auspicious Beginnings. What is it? 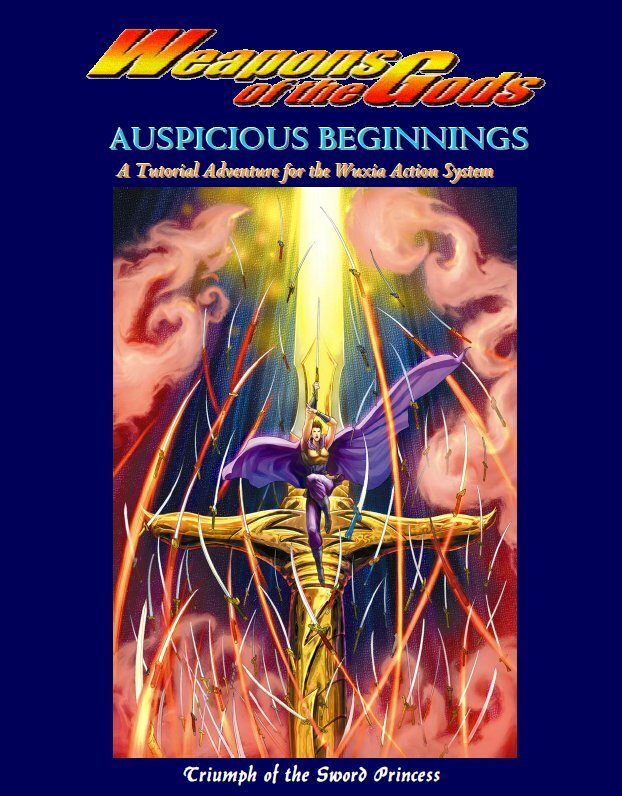 A tutorial adventure for Weapons of the Gods the insane wuxia system. Perhaps less insane now since they stripped out the obscure license and republished it as Legends of Wulin. It comes from Eos Press, a company legendary for delays, misinformation, and strange publishing practices. And WotG is, IMHO, a hot mess. I say that knowing some folks love it and have gotten great campaigns out of it. But the rules are opaque at best. That’s not to say they’re bad. They have amazing ideas. Much of that seems to come from the work of Rebecca Borgstrom (now Jenna K. Moran) on the project. What's awesome? Well WotG “monetizes” the setting. There are legendary stories, tales of factions, explanations of philosophies, discussions of gender, and descriptions of nations throughout the book. They have a mix of fiction and description. But more importantly players can buy connections to those ideas and stories. You can purchase a link and become part of these fables- creating a destiny, showing the GM what you want, and encouraging you to play within those archetypal elements. It’s cool and something worth stealing for other games. But I have a hard time following the system beyond that. It uses the kind of dice tricks I’m not fond of- pattern matching and the ability to flow dice out of your pool to the side and then back again later.Fireborn and some other games have done that and "it's not my bag." (tm) And the combat’s crazy, though I suspect it does simulate the feel of a legendary encounter. Eos Press once published a Combat Example pdf. I wish I could find it now. It is several pages and exchanges with all kinds of mechanics triggering off, just for a duel between two characters. IIRC it doesn’t even come to a conclusion. I read that and noped hard. But forget all that. Ignore what I just said, because Auspicious Beginnings is wonderful. The PCs heroes arrive at Only Two Devils, a frontier city with a reputation for the exotic. 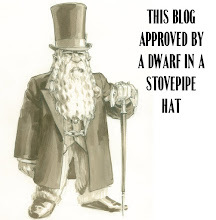 The city has several striking key NPCs and factions associated with them (like Ironhand Nan and the Sheathed-Blade Empty-Hand Prosperity Society). The Governor has elaborate rituals for city entry and stiff requirements to access the more interesting spots. One or more members of the group need to get to the secret markets to secure a special lost item. To do so, they need a sponsor. Therefore they have to participate in a grand contest- not of fighting, but tests of skill. Like leaping from spear point to spear point carrying a flag while avoiding arrow fire. If the group can succeed, they’re adopted by one of the factions- which leads to a fight and a jump off for further adventures. The contest’s brilliant and colorful. It’s intended to showcase and ramp up the use of the game mechanics. That holds true for other systems besides WotG. You can use this as a model to show how to do cool stuff. The characters are awesome- the Pre-Gen PCs, the rival contestants, the leaders of the faction. The setting’s vivid and full of amazing hooks. It has twists, ways to buy into the setting, and great advice for running any Wuxia game. I’ve used this set up straight or in modified form about a half dozen times. I’ve come up with all kinds of crazy new contests. My favorite is racing hungry monkeys to gather fruit from a private garden. There’s a ton of inspiration here and it’s fun to come up with new ones tuned to the players’ builds. I’ve seen others talk about classic touchstone repeated-play modules, like Isle of Dread or Village of Hommlet. I never had that experience with early D&D modules: making them into a toolkit. I have with Auspicious Beginnings. Pick it up for any fantasy game with stunting concepts and athletic tricks for the players (like Exalted or L5R).